Chartered status enables individuals and firms to demonstrate their professional commitment to raising standards of knowledge, capability and ethical practice. Holding Chartered status sends a message to clients that they can expect the very highest quality of service from their adviser. Independent research shows that consumers recognise and value the Charter marque. It is an indication of merit, capability and commitment to ethical practice. Furthermore, the Chartered titles awarded by the CII are regarded as today’s ‘gold standard’ of excellence and integrity. The financial services industry underwent significant changes following The Retail Distribution Review, (The RDR) which came into effect in January 2013. This means that although financial advisers should now be far more professional and better qualified, it is difficult to run independently while maintaining a high level of client service. Remaining fully independent has always been a priority for Global Financial Ltd. In order to run a profitable practice, many other advisers reacted to The RDR by restricting their range of products and services to just one or two providers, but we remained committed to delivering the best standard of service to our clients – which meant retaining access to the whole of the market. 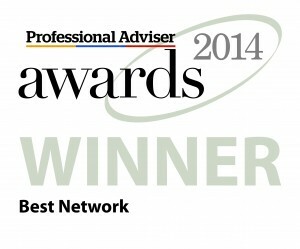 We are a member of Best Practice Chartered Financial Planners, based in Horsham, West Sussex. By combining the collective power of the group, Best Practice is able to maintain high-level relationships with virtually all Insurance Companies, Investment Houses, Pension Providers and Platforms. By partnering with Best Practice, our clients have greater financial protection and can choose from a whole of market, independent range of products and services, at institutional rates. It would be virtually impossible to run our practice as independently and efficiently as we do without the systems, help and support afforded to us by Best Practice. 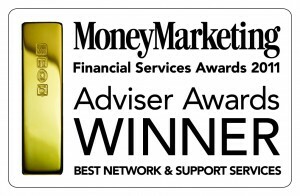 We are delighted that they received a “Highly Commended” at the Professional Adviser Awards in 2011, and were the Best Network award winner in the Money Marketing Financial Services Awards in 2012.